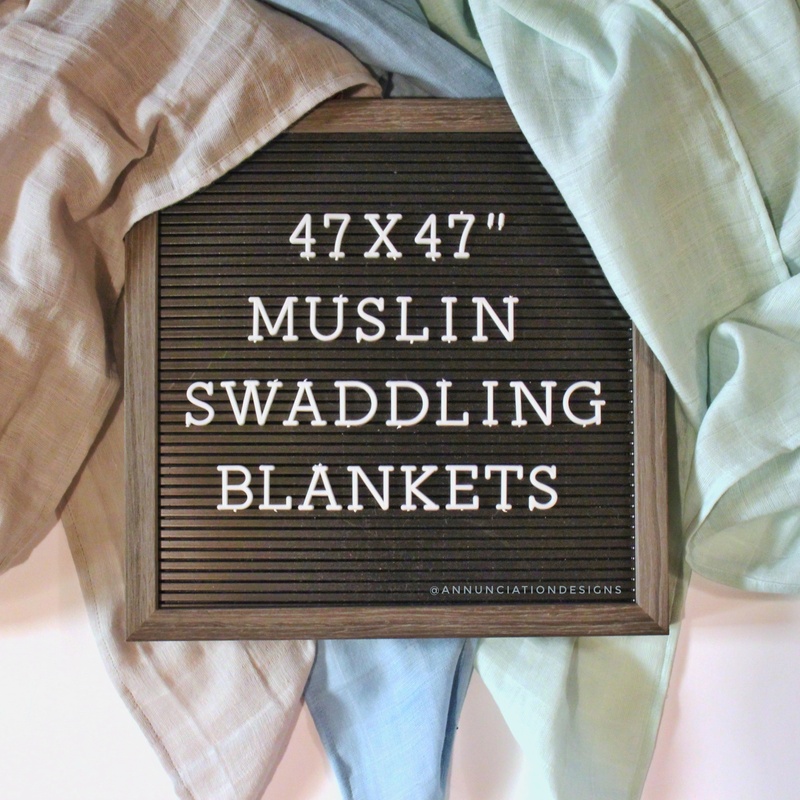 This large, high quality muslin blanket is perfect for swaddling a little one. 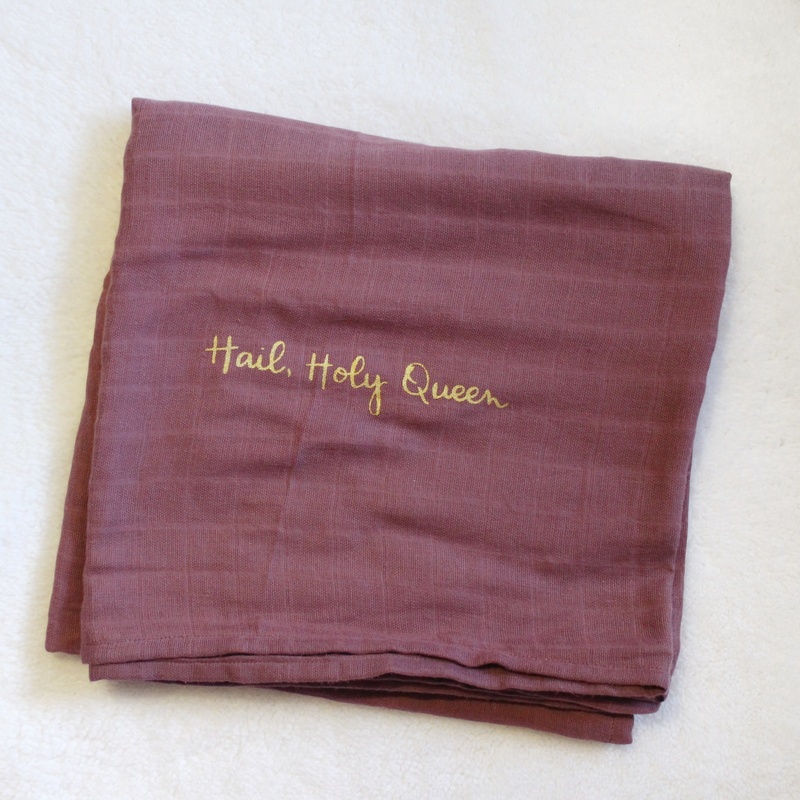 Measuring 47×47″, the dusty purple muslin is dotted with gold bees as symbols of Our Lady and the words “Hail Holy Queen.” The lightweight fabric makes this blanket perfect for a toddler blanket, car-seat/stroller cover, nursing cover, and more! Sewn and printed by the shop owner, this blanket is sure to be a family treasure. 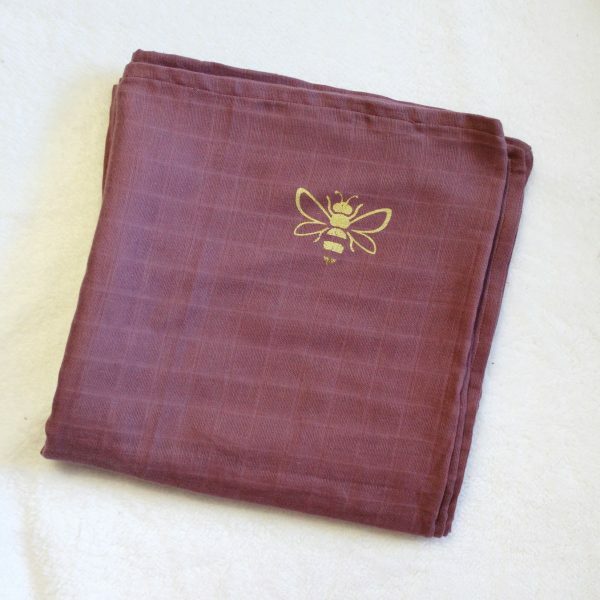 It will arrive flat, but once washed and dried the fabric will soften and ‘crinkle’ – perfect for sensitive baby skin. 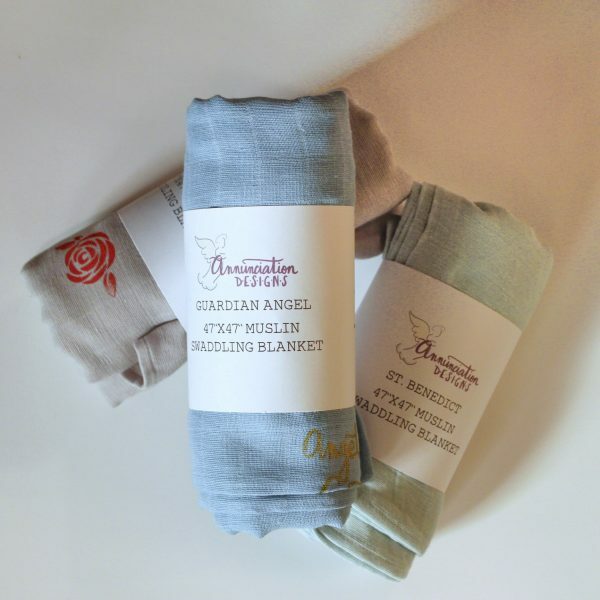 Wrap your precious bundle in a soft swaddle and sweet prayers. Care instructions: Machine washable, wash warm or cold and tumble dry.